Turkey is having a hard time in which democratic rights are trampled upon and a totalitarian regime is under construction. The struggle of the working class under these circumstances for democratic rights and freedom is of critical importance. In our work we, the Association of International Workers’ Solidarity, raise the voice of “NO to one-man regime” among the ranks of the working class. 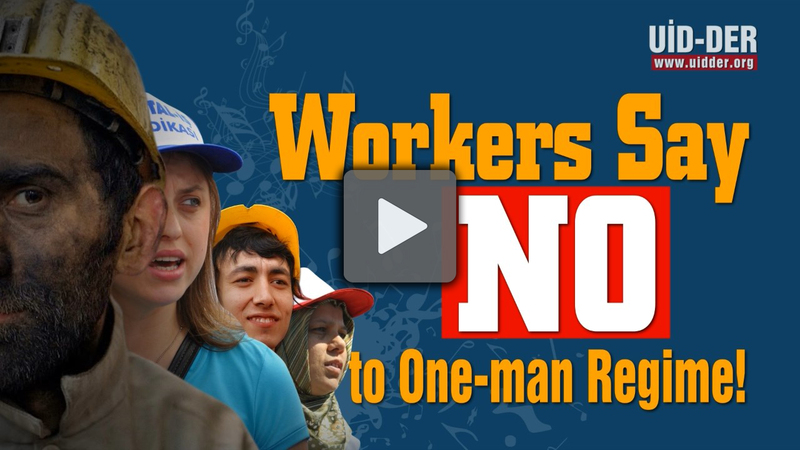 Our song for our campaign for a NO vote is both an expression of our determination and a call by the working class of Turkey for solidarity addressed to the world working class. We wish you to give some coverage to the class struggle in Turkey in your work and share our song among fellow workers in your country.